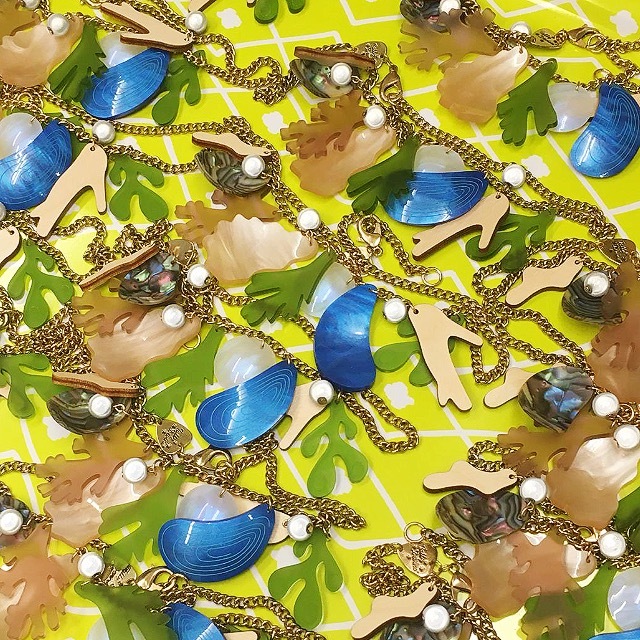 Take a wander along the shoreline of our new collection, She's Electric with Creative Director Harriet Vine. Tranquil treasures, mysterious marine life and adventurers await! Join our daring Diver Necklace in the deep, with a sparkling, hand curved iridescent helmet perfect for freely exploring the depths. "This collection was driven by the idea of having a natural affinity for foraging, exploring and an interest in the natural history of the seaside." 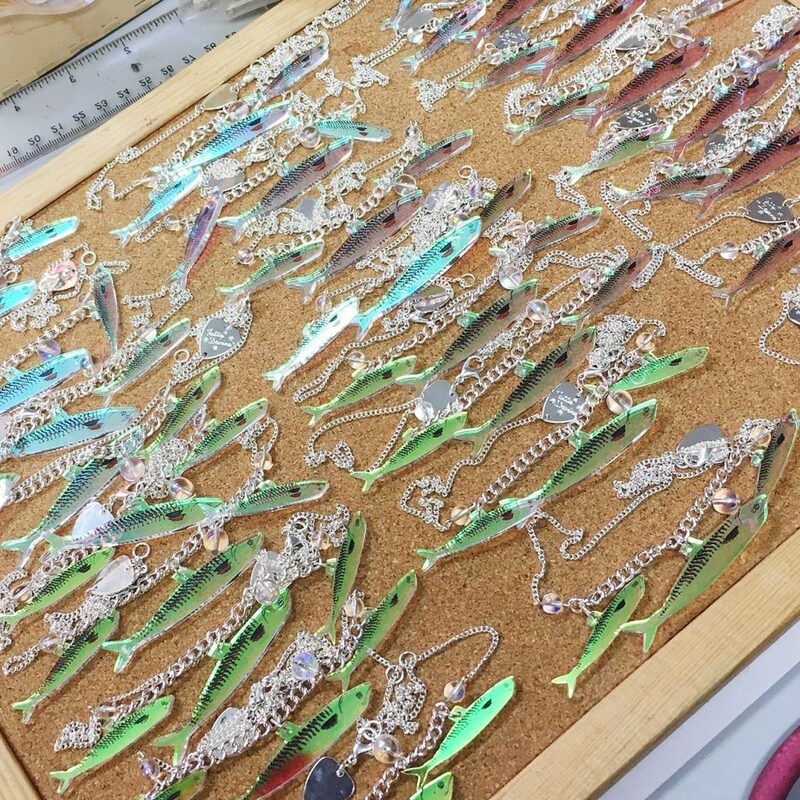 Swim with shimmering shoals in the Mackerel Necklace, dodge iridescent pressed glass bubbles as you navigate the bottom of the beautiful briny sea. "Mackerel, as a fish are so pretty. 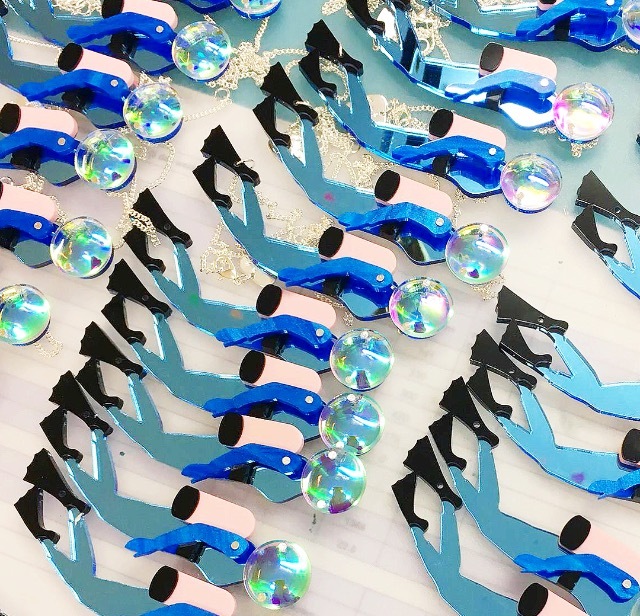 We had to etch and hand ink the iridescent acrylic to mimic scales and gills." "The Shark Tooth pieces are my go to for festivals, most probably with sequins...the acrylic teeth are marbled and look almost fossilised. 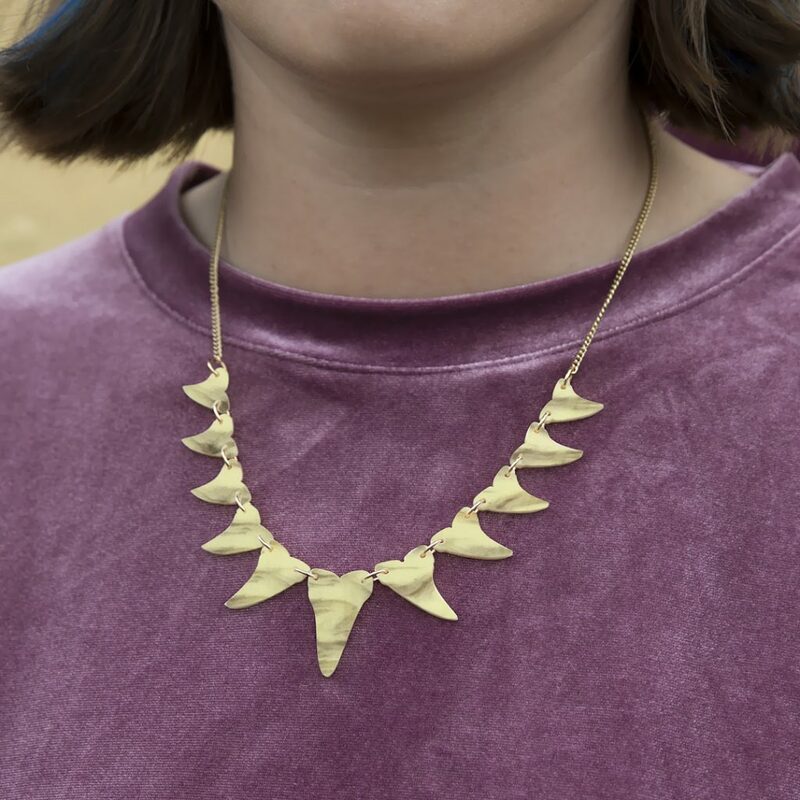 You could have discovered them on the seabed, peeking out from beneath the sand..."
"The Beachcomber Necklace is pretty special. There's a whole mix of trinkets in there, including fossil oysters for which we used the most amazing pearlescent, multi faceted acrylic. Our Kent studio then hand curve it to create the perfect shell shape." "I had a dream about a huge shark the other night...they're definitely on my mind at the moment. 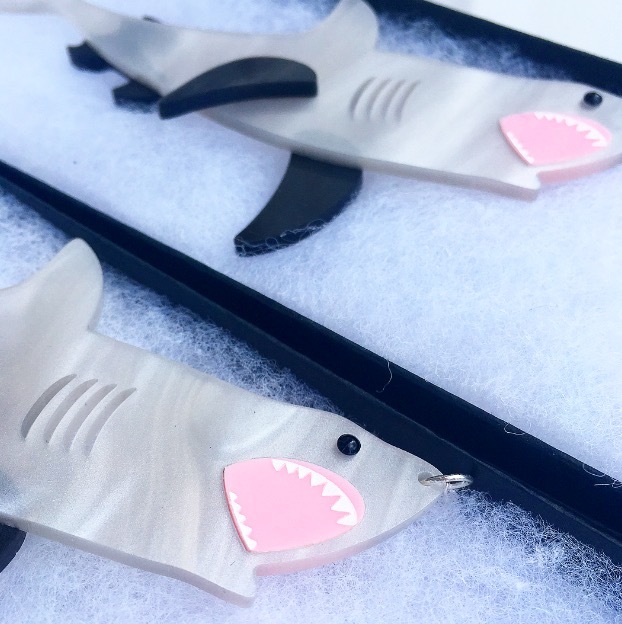 Check out the Shark Necklace's glinting Swarovski crystal eye and rows of etched and hand inked teeth, there's even a tiny Shark Pendant!" Like what you sea? Take a dip into our She's Electric collection, online and in store now!